The Melise Wall/Pedestal Basin is an excellent choice for your bathroom. It is gorgeous, practical and incredibly affordable. Moreover, it is designed for easy installation and can be used as either a wall or a pedestal basin. This compact unit measures 430x550mm and is ideally suited for small to medium sized bathrooms. The Melise Wall/Pedestal Basin boasts of an ultra-modern design and will transform any bathroom into a contemporary space. It includes a single tap hole with a standard overflow. Additionally, it features a large platform shelf on top of the basin, which comes in handy for placing bathroom essentials. For a compact bathroom basin, the Melise Wall/Pedestal Basin features an impressive bowl capacity of 3L. The waste outlet of this basin measures 32mm. 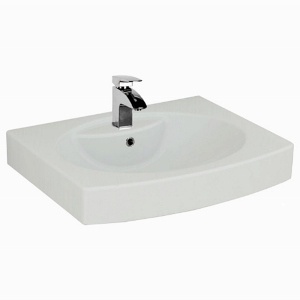 The Melise Wall/Pedestal Basin is manufactured to the finest of standards out of superior grade vitreous china. 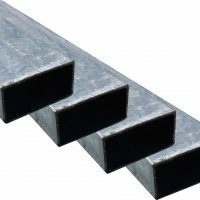 It is incredibly sturdy and durable and is built to last. Rest assured it will last several years – even with rigorous daily use. So, go ahead and transform your bathroom into a modern space with the Melise Wall/Pedestal Basin. Purchase this product at an unbelievable price from our online store today.